For as long as I can remember, I have been observing people. Not in a creepy, stalker-ish way, or at least not according to the local authorities. But as a watchful, introverted child attempting to make sense of the world, and later, as a watchful, introverted adult, still attempting to make sense of the world and my place in it. People are fascinating. How they can say one thing and do another. How they are capable of great feats but falter at the smallest tasks. How they can smile at you and promise the world, right before crushing you under their heels. I’ve paid attention. I like to think I’ve paid attention well enough to tell their stories. So that when a character pops into my head, my subconscious can riffle through its databank and match behaviors I’ve observed with the imaginary person sitting before me. Sometimes we writers sit around over a few adult beverages and talk about who “owns” a story. The author? The imaginary characters? Any “real” person who might have inspired the tale? 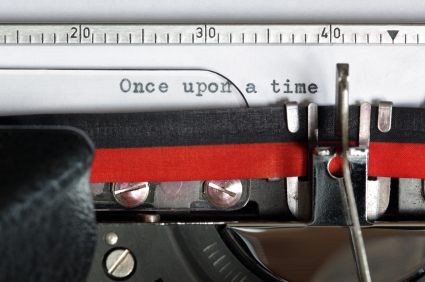 I used to think there was a certain responsibility involved in storytelling. That as someone who seeks to string words together in the right order, I had a kind of obligation to tell the stories of people who could not do it for themselves. I don’t know if that’s so true anymore, now that I’m older. It sounds awfully snobby, that “obligation” part. That “assuming” part. I just like to tell stories that help me understand what we silly humans do, and maybe stories that help me connect with other people. So let me tell you one. Years ago, I left an emotionally abusive relationship and rented a room in a huge apartment I shared with three other people. I did not know them well—I hadn’t even met one of them before I signed the lease—but after what I’d been through, they became a kind of family for me. We quickly had each other’s backs. A few months after I moved in, a hurricane swept through Boston, leaving us one of the few houses in our neighborhood with power. Our available horizontal surfaces filled with stranded friends and loved ones, including a male housemate’s sister. She was (presumably still is; we lost touch) smart and funny, and I took to her as easily as I had to her brother. Both siblings are gay; both had been rejected by their father when they came out. I mean completely, utterly, you-are-dead-to-me rejected. That chilled me to the core. One of my own ancestors had rejected my family when my parents left Judaism, so I felt a bit of that pain. I could never imagine my loving, open-minded parents doing such a thing to us. The brother used humor as a coping mechanism. He also worked at a nonprofit agency helping at-risk kids; he’s now a lawyer. The sister ran away from home and joined the Hare Krishna; in fact, when we met, she’d just parted ways with them and hoped to stay with us long enough to figure out what came next. They were lucky. One woman I knew, a former babysitter, was not so lucky. I learned years later that she killed herself after her parents turned her away. Does that mean I “get” to tell these peoples’ stories? I have no idea what it’s personally like to be in the thoughts and bodies of the people involved. But I knew them. I have deep compassion for them. I’d rather no one else went through these horrible circumstances. Ever. What do you think? Can experiences be transferred through story? If something moves us, can we write about it? Should we? Or is it not ours to tell? I certainly believe that we, as writers, have the capacity to understand the pain of others. We all have felt pain in our lives at one time or another.Pain is not necessarily personal. Much of it is situational (yes, I see the red line, but I do believe it is a word). It can be understood in two ways. One, through the compassion and empathy of placing ourselves, in our imagination, in their shoes. We can tell a story using that information. The other is through study and listening. This one is less reliable but still of value when we delve into social issues and their effects. Both can help us to tell compelling stories, often ones that will connect with readers and even educate them. What I believe we cannot do is to understand an individual completely enough to tell their story and assume we can speak with their voice. That can only be done accurately by quoting the person verbatim. As long as we know that out writing is, in essence fiction, and admit that, what we see, hear and learn can become tools used as the basis for powerful stories that will resonate with many. I think as humans we have that capacity to understand. As writers we have the ability to share it, to make it personal for people who may not have ever (or will ever) experience it for themselves. I don’t think it’s an obligation, more of an imperative. I’ve not been through all the hardships I write about, but I know people who’ve been through some of them. As long as we aren’t naming names, I think all stories are ours to tell. I think Julie got the gist of what I was saying. 😀 “As long as we aren’t naming names” is the key here. The stories actually need to be told. They are a source of enlightenment, of dialogue, of personal understanding and growth, both for the writer and the reader. Tell them, by all means. Just don’t claim to be so far into one real person’s head that you know exactly what they are feeling and write “for” them. The story is often universal, the individual feelings and reactions are not. I like that. Story is universal and a representation of “real life.” I’d never presume to know with certainty what another person is thinking. I usually tell different kinds of stories, so the links between my characters and the real world are far more tenuous. Yet even so, I believe there are universals we can and should tap into. Not in a preachy way, but simply as a way of showing unknown readers a perspective they may not have thought about before. Ursula LeGuin did this to me many decades ago when I read Left Hand of Darkness. If I can give one reader and ‘ah hah’ moment through my writing, I’ll be happy. As writers, we don’t tell readers what to think, but we can and should communicate the full range of possibilities. After that it’s up to the reader. Agreed. I have to read Left Hand of Darkness one day. Stories are one of the best ways to deal with our experiences and the experiences of others around us. I loved this post and thought it was beautifully written. I ran into an Ernest Hemingway quote the other day that said “Write hard and clear about what hurts.” And I think that is so true. Write about life, write about people’s stories. Write about what is painful and hard. Great post, thanks! Thank you, Emily. I love that quote. Go with the pain. When I’m backing off on writing a story because I don’t think I can deal with it, that usually means I’m dancing around something rich. I think the story you tell is formed not from just observance of a particular person’s life, or certain aspects of it, but really from the writer’s perspective of what she sees. Given how much of our own experience informs what we see, we could all theoretically come out with wildly different stories based on the same real life person. So, it really is our version of their story, and I would agree that it is ours to tell if we are so inspired.